Human Resource Development (HRD) is a process used to develop talent and improve the learning and performance of individuals and organizations to enhance their competence, effectiveness and change. HRD practitioners work to maximize the performance and potential within the fields of: training, learning and development; individual and organizational performance improvement; and, strategic HRD. Program participants will learn innovative approaches to address contemporary challenges in the workplace including leadership, ethics, strategy, adult education, and diversity while engaging in high-quality, applied research and professional learning. The MHRD program consists of 36 semester credit hours of course work. The Human Resource Development (HRD) field draws from systems design, psychology, education, sociology, organization development and management theory to improve human and organizational performance. The Master of Human Resource Development (MHRD) degree program at Clemson University prepares people to become strategic thinkers and problem solvers who can address a broad spectrum of performance issues within business, industry and the public sector. HRD specialists commonly help organizations and people to identify performance gaps and to deliver appropriate interventions that improve human performance in the workplace. Designed for in-career professionals, program participants come from many different fields and disciplines. Prior experience or course work in HRD is not required. However, work experience is highly preferred. The MHRD program is taught by practitioner-scholars using the latest Internet technologies to create an interactive environment that meets the needs of busy professionals wanting to update their skills and abilities to improve human and organizational performance. Today's employees must develop and implement effective solutions to solve difficult business problems. For this reason, one of the major goals of this program is to provide a framework that includes creative and critical problem-solving skills, and the appropriate use of emerging technologies, accompanied by an appreciation for diversity and ethics to develop highly valued and productive workplaces. According to the American Talent Development 2015 salary survey, the average HRD professional makes between $70,000 and $80,000 a year. Based upon Bureau of Labor Statistics for the period 2008 to 2018, training and development specialists will be among the top 20 hottest career fields. Employment is projected to grow by 22 percent, much faster than the average for all occupations. College graduates and those who have earned certification should have the best job opportunities. Students must have access to email, the Internet and have current versions of their computer's operating system, word processing, spreadsheet, and presentation software. Being an online program, students will be required to send and receive large files of information. Therefore, students need an up-to-date computer, microphone and speakers or headset with mic, and a DSL or Wi-Fi high-speed Internet connection. To be successful, students need to allocate sufficient time to participate in online classes and discussion groups and to complete all assignments as described in the syllabus for each course. All testing is conducted online. Because this is a graduate level program in HRD, students must be prepared to allocate six to eight hours a week for each course taken in order to be successful. WebEx® is a powerful and flexible online meeting and conferencing tool used by the MHRD program. Using Webex®, students and faculty can share documents, PowerPoint presentations, audio recordings and other media. Canvas is Clemson's primary course development and documentation tool, used by colleges, universities and other learning organizations worldwide. Each MHRD course is designed to provide students with information and resources to be successful. Within each course developed in Canvas, students will find a course syllabus, discussion questions, Internet links, assignments, and information about projects and papers. Canvas Guides is the online documentation site for students, instructors, instructional designers, parents and learning management system (LMS) admins. The lessons are continually updated online. As a MHRD student, you will have access to Skillport and other online tutorials at no additional cost. These additional learning resources include computer skills; business strategy and operations; finance, human resources and administration; management and leadership; professional effectiveness; and much more. Online but not alone is one of our core values. Regardless of where you live or work, you have access to technical support services and expertise. Both online and telephone support is available. The MHRD program was developed around the competencies identified by the International Society for Performance Improvement (ISPI) as essential for effective leadership in the areas of human performance improvement. This program is continually being enhanced to reflect best practices in business and academia and course titles, descriptions, content and instructional methods will be revised as needed. Admitted students must successfully complete a 36 semester-hour program composed of 12 required courses. * Note: Students may be offered the opportunity to substitute one or more EDL 8850 Selected Topics in Education Administration for HRD 8450, 8900, 8820. The intercollegiate athletic option was developed to provide a unique opportunity for individuals wanting to pursue a career in intercollegiate athletics. Based upon the curriculum, the AL option substitutes four courses that focus on ethics, psychology, leadership and administration. To complete this option, you must successfully complete a 36 semester-hour program comprised of 12 required courses. * Note: Students may be offered the opportunity to substitute one or more EDL 8850 Selected Topics in Education Administration for HRD 8900. MHRD program applicants are able to start classes during either the Spring or Fall semester. Admission is evaluated on a continual basis until the application dates have passed. Have completed a baccalaureate degree from a regionally accredited college or university with a minimum GPA of 3.0. or a recognized international university with a baccalaureate degree equivalent to a US bachelors. Have relevant, full-time work experience in Human Resources, HRD, and/or Organizational Development (a minimum of 5 years preferred). Submit results from the GRE, Miller Analogy, or GMAT exams. Responses for each short answer prompt should be double spaced, 1 to 2 pages, and between 500 and 700 words. Please select 3 of the 5 questions. Responses should be uploaded as 1 document on the next page of the application. 1. If individuals, teams and organizations are to improve, they need to effectively develop the talents of their workforce. Describe a current issue individuals and organizations experience in the workplace and how the field of human resource development might be used to address the issue. 2. Describe a situation when you were able to bring about positive change in others. What was the issue? What did you do? How did you know that you were a successful change agent? 3. Describe a time when you had to improve the performance of an individual, team, or organization; include: a description of the organization, how you determined there was a problem, and your approach in identifying an appropriate intervention. 4. Describe a time where you had to develop a learning intervention (instruction and training) to improve the skills, knowledge and attitudes of adults in the workplace. Describe your approach to planning, design and developing the learning intervention? 5. Describe a situation when you led others, how you approach leading others, what you learned about your leadership skills and how did your leadership benefit others? Angie Carter received her Bachelor of Arts degree in English from Georgia State University. She obtained her Master of Education degree in Workforce Development Education from University of Arkansas after a long stint as a manager in the shopping center industry, and career change to instructional design and corporate training. After completing an EdD in Adult Education in 2015 from University of Georgia, Angie went on to serve an academic appointment at UGA in the same department, where she taught a variety of human resource and organization development courses, as well as recruited and marketed for the program. Angie’s research focus is on talent development, action learning, and emergent leader development. Dr. Carter is married with two children, and can be often found at sporting events, as her daughter plays college softball and her husband is the Head Track Coach at Georgia Southern University. Kris Frady is an Assistant Professor with a joint appointment in the College of Education Department of Educational and Organizational Leadership and Development and the College of Engineering, Computing and Applied Sciences Department of Engineering and Science Education at Clemson University and also Faculty Director for Clemson University Center for Workforce Development (CUCWD) and the National Science Foundation Advanced Technological Education Center for Aviation and Automotive Technological Education using Virtual E-Schools (CA2VES). Kris has previously worked as a professional corporate trainer, as an instructor at a two-year institution, and as a career and technology education teacher at the high school level. Kris and the CUCWD/CA2VES team aim to develop an exchange which will help identify, understand, and elevate best practices; facilitate peer learning and deepen knowledge; spark replication and advancement across regions; and inform long-term public investment in talent development through research and educational resources. Cynthia Sims is a practitioner scholar of human resource development. She has extensive expertise in learning leadership and strategy, operations, instructional design and distance learning, learning management systems, organizational development and human resources from working at a U.S. Fortune 100 company and winner of Training Magazine’s Top 125 award. Sims also worked at an international consulting firm. 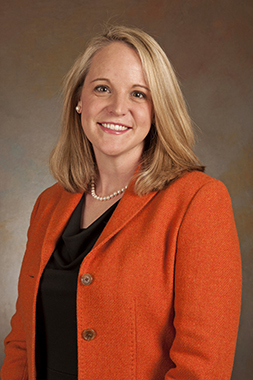 She recently joined Clemson after completing her doctorate in organizational leadership. Her research interest includes leadership as a gendered process, entrepreneurial leadership and the function of identity within the authentic leadership framework. She is a member of the International Leadership Association (ILA), ATD, SHRM, and ISPI where she frequently presents her research. Being an online program, we are not limited to faculty who live near Clemson University. For this reason, we have assembled a national faculty of distinguished practitioner-scholars. Each is considered a leader in the HRD field, with many years of experience. This experience brings an added dimension to the program, ensuring that students not only learn the theory and concepts related to HRD, but how that knowledge is most effectively applied in the workplace. For MHRD alumni news, MHRD social media, MHRD graduate testimonials, job listings, job resources and MHRD-related meetings and conferences, please see our MHRD Alumni Resources Page.